Being a flexible digital agency we work for different brands which shows our diversity. Haircut city is one of the finest hair salons that offer hair cut, hair styling, hair color, hair straightening and other services related to the styling of hair. Our qualified social media marketing team have made their services popular and now their graph of sales is continuously rising. 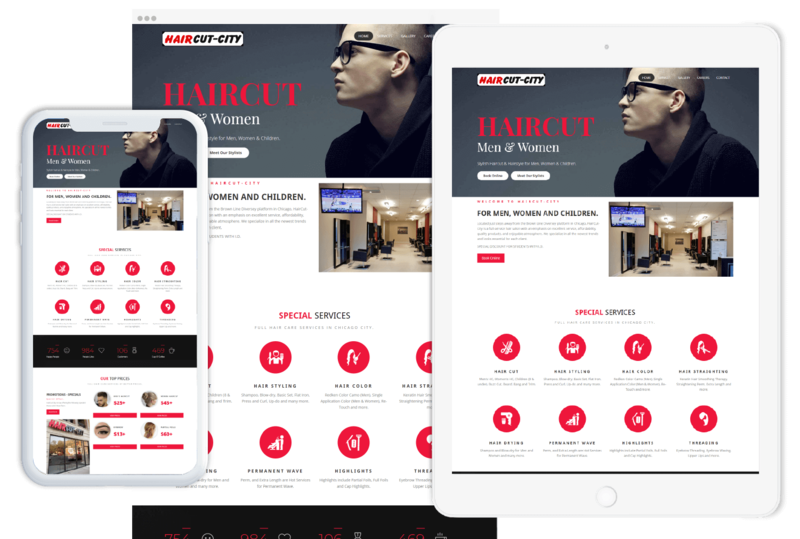 When it comes to high-quality website design, our web development team holds every single quality to make it possible and the cool website design of Haircut city is the proof of it. Their site ranking is also improved because of our SEO professionals.